This was shot at sunset in South Africa. It's not often that you get a clear view of both the animal and the sunset, so I decided to make the most of it and crawl towards the water's edge with my wide angle and take this picture. 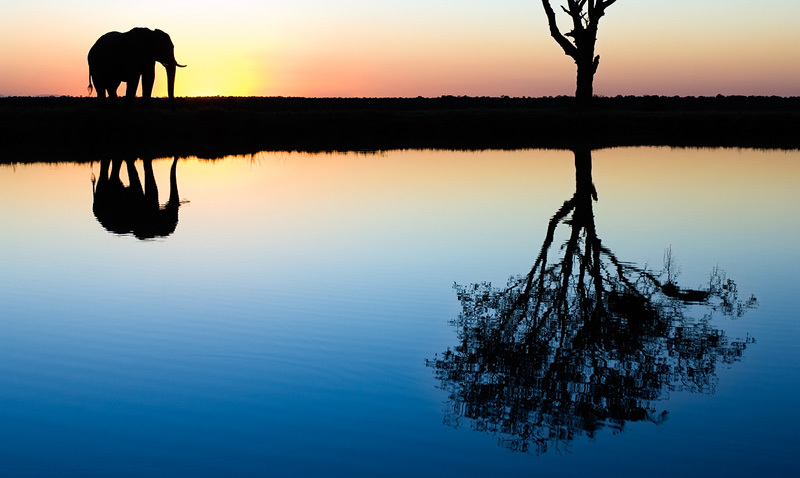 I deliberately placed the elephant in the upper left corner and show only the reflection of the tree as a counterbalance. It's one of my favorite waterhole shots.